In 2016, people all around the world are addicted by augmented reality-game, namely Pokemon Go. 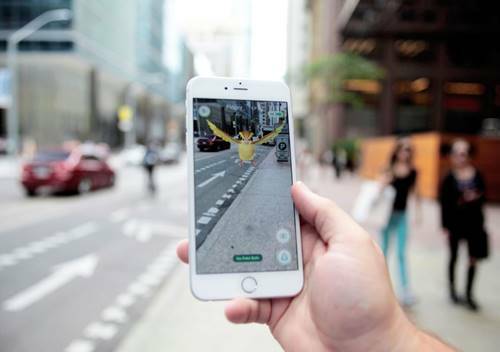 While Pokemon isn’t new (its franchise already exist since 90s), but the concept of location-based augmented reality games is the one who make this app games become global phenomenon. But what is virtual reality games mean? And what is disadvantages of virtual reality games, specifically Pokemon Go? What Is Virtual Reality Games? Augmented reality games isn’t new boy in technology and gaming. This kind of innovation has been developed in the last couple years. Pokemon Go maybe the most popular and the most familiar kind of virtual reality technology using. The concept of the game is based on the reality that was carried by Pokemon Go has become the breakthrough that makes people in different parts of the world become addicted. This games was released in July 2016 and become global phenomenon, basically in the entire world. Pokemon Go is a game developed by the Pokemon Company, teamed up with Niantic and Nintendo. The game utilizes the player’s mobile device’s GPS ability to locate, capture, battle, and train virtual creatures, called Pokemon, which appear on the screen as if they were at the same real-world location as the player. The game features a freemium business model and supports in-app purchases for additional in-game items. Pokemon Go is a kind of game-based augmented-reality, a game that involves the world of reality or in other word, the real world. Gamers must look and run out of the house, go to some place or a specific location to capture the virtual monster called Pokemon. Pokemon Go credited to promoted physical activity and help to increase many foot traffic to search for Pokemon in this game. While this game got credit for several positive reason, Pokemon Go also have its negative effects that can’t be overlooked. Some people even say that this game is quite dangerous and even banned in several country. Virtual reality game is causing a lot of negative impact as there are many cases of accidents, fraud and even gamers who are stuck in somewhere place. There are several reported case that many Pokemon Go gamers involved in car accidents. It mainly because the gamers walk in the street staring at their smartphone without looking condition around. Other case also involving gamers trapped in stranger place and even used by robber to lure his victim. So possibly there are more negative impacts in this kind of game rather than its positive impacts. So this kind social phenomenon of this game is not safe at all and the gamers should be more cautious. In facts, Pokemon Go phenomenon only lasted couple months before its popularity faded and disappear. Couple months happened and people forget that this kind of game exist. This is maybe the best decision for all to minimize the disadvantages of virtual reality games – Pokemon Go developer aside. And after all the ‘normal’ games is safer than the virtual reality games, at least in the Pokemon Go case.